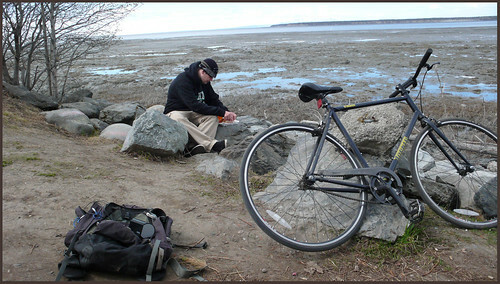 Lunch with my son -- bus station pizza with a Knik Arm view. 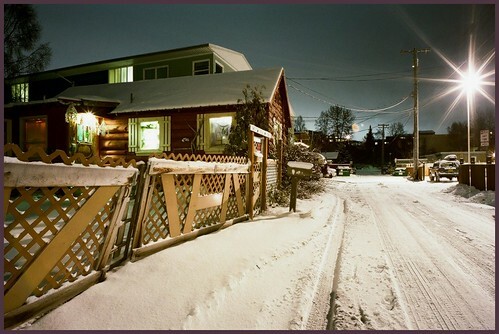 Alley, cabin and apts., Bootleggers Cove neighborhood, Anchorage. 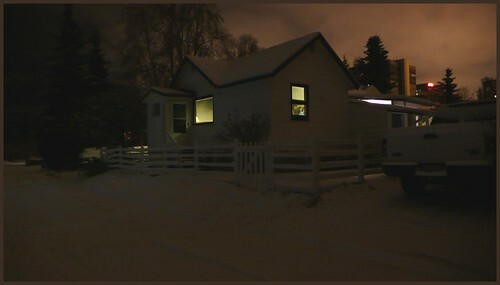 The rare small house remaining in a close to downtown Anchorage neighborhood.